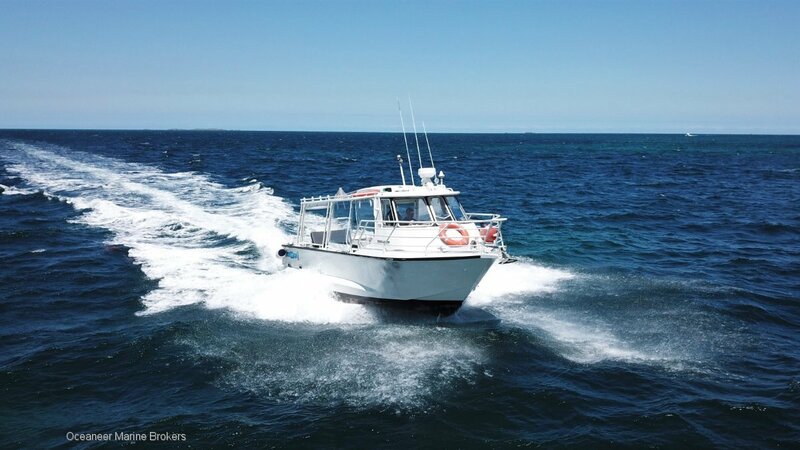 Fantastic entry level "walk in – walk out" charter vessel opportunity. Pre-bookings included in sale! This vessel is a busy boat over the summer at Rotto and in the Swan River. Vessel fits under bridges to Optus Stadium opening a reliable avenue of charter business over winter months. 10.4m Sea Quest Marine Aluminium hull powered by diesel Volvo D6 310HP engine. 17 knot cruise, 30 knot sprint. Sidepower bow thruster, Raymarine auto pilot, Garmin GPS plotter, Kodan echo sounder, JRC radar. Vessel being sold in current AMSA Survey with great passenger numbers. 18 passengers in the river and 14 to Rotto. Fishing Survey 3C still attached! Prized pen in Fremantle Fishing Boat Harbour available. electronicsKoden echo sounder. Garmin GPS and plotter chart. JRC radar. Raymarine auto pilot. UHF radio. New fusion stereo.